In order to develop its own browser, for example, to render HTML-content in the application under Windows 10, it is suitable EdgeHTML. Browser engine is integrated into the application via a universal platform the Windows (UWP) as an object ofWebView. The universal application of this type of well-made in Visual Studio 2015. Microsoft emphasizes that through the WebView software interfaces available to a much more advanced features than can provide iframe. For example, reading the local content on the disc or the removal of screenshots. 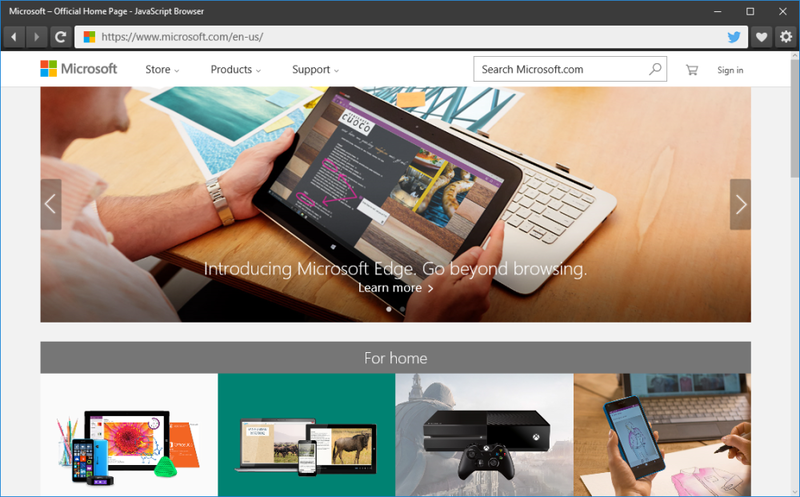 Edge rendering engine EdgeHTML is distributed only under Windows 10. But Microsoft has decided to go beyond the operating system.